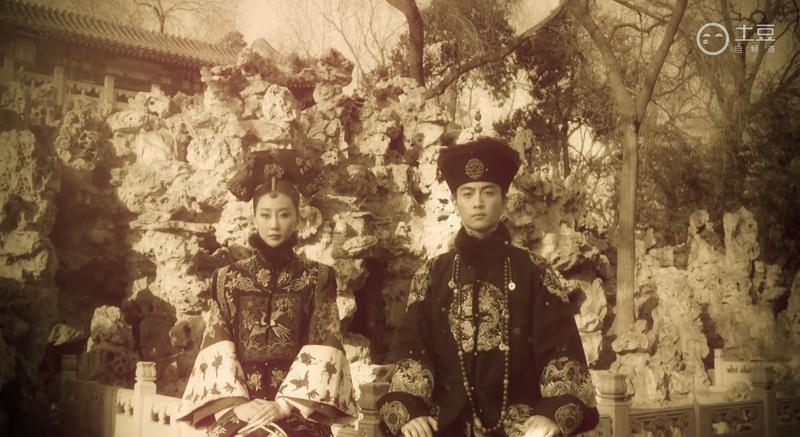 Filmed in the Prince Gong Mansion itself, Chen Xiao’s first serious lead is looking amazing already. = Twilight of the Empire 帝国黄昏 aka epicness in the making. The series co-stars Chen Xiao’s college classmate Lin Peng and is based on a non-fiction bibliography of the Prince. For a glimpse of Prince Gong’s controversial life, here is the New York Times report on his first international appearance, signing the unequal treaties after the burning of the Summer Palace and the fleeing of his brother the Emperor from Beijing. Just thinking about the potential depth of this role makes me excited for Chen Xiao. Prince KUNG is about 28, but looks older; his countenance is not devoid of intelligence, but there was an expression of anxious, nervous care, partly fear struggling with anger, no doubt at finding himself in a position so different from the one he had been accustomed to hold in the presence of the high officials of the Government; yet there was a curious mixture of familiarity and respect in the manner of the officers towards him. This entry was posted in Drama, Mainland China and tagged Chen Xiao, Hu Mei, Lin Peng, Prince Gong, Twilight of the Empire by idarklight. Bookmark the permalink. He’s a producer, but I don’t think he’s involved in the writing. Chen Xiao’s costume for the MV is actually from Gong the movie, but I wouldn’t mind if they reused them since no one probably finished that movie anyways. Qing Dynasty Manchu costumes and hairdos for men just don’t have aesthetic appeal for me. Love topknots and hanfu on Chinese men. It is so random to have a MV before filming o_O Anyway, it sounds like a great drama so I hope it goes well this time! I love Chen Xiao so much but his ROCH misadventure makes me hesitent about anticipating this one. My guess is hiding in his room, sticking needles on a Qiong Yao doll. It feels like he’s been keeping low since the lawsuit?